“Pity the poor mother who wants to enjoy the holiday season and pass along the delight and warmth of various yuletide traditions but who doesn’t particularly want to put the Christ back in Christmas, as it were, or reinforce the notion that men are the foundation of the most important things in the world, like school vacations and presents,” Hunter wrote. Apparently the patriarchy doesn’t stop there. The time-honored tradition of exchanging Christmas presents has been hijacked as well. “Christmas toys”—not to be confused with normal toys—“are so rigidly defined by gender stereotypes that finding gender-neutral options feels not unlike an Arthurian quest,” she wrote. Lest anyone think Christmas movies to be a safe haven for feminists, Hunter exposes them to be the patriarchal inventions of our time. Whether it’s It’s a Wonderful Life, White Christmas, or even Elf, all are guilty of having male protagonists. Not so wonderful life…for feminists, of course! This entry was posted in Children, Culture War, Education, professors and intellectuals, Radical feminists and tagged Perpetual Victimhood. Bookmark the permalink. At the root of “feminists” like Canadian professor Latham Hunter is a steaming ever-bubbling cauldron of HATRED and resentment against men. A psychiatrist would say that theirs is a daddy issue, which is then generalized to all male authority figures. Thus, their hatred for God the Father and the Son. Hunter and all radical feminists are deeply unhappy and bitter women. May God have mercy on them. If the nutty professor is enraged over all the “male” things happening on Dec 25th. perhaps she should pick someone else’s birthday to celebrate her pagan rituals. She’s as crazy as a loon; it’s distressing that this kind of insanity is teaching kids in this world. Perhaps the state of the world is best explained in part by that. It’s so sad she doesn’t have anything constructive to do with her life.She’s obviously not stupid,just,as Northerngirl says,crazy as a loon. It’d be awesome if she could focus her energy on something IMPORTANT. Now the inmates are running the asylum as well as everything else. I wonder how she feels about Baby New Year. You know, that diaper doesn’t change itself. With apologies to Doc E, the only thing they got right when it came to coining the term “Institution of Higher Learning” was the “Institution” part. 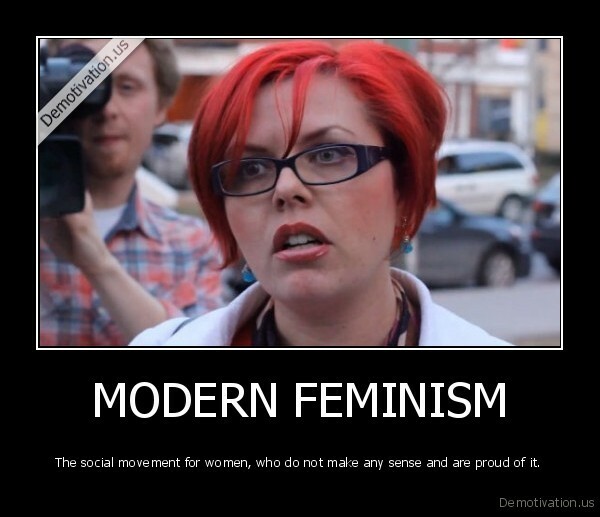 Feminism is such a buzz-kill! Despite being an atheist, I still enjoy some traditions surrounding the Christmas holiday. Feminism is affirmative action for upper class women. What humorless drones!